Take advantage of our customizable kitting services. Our large facility and detail oriented staff can take care of your shipping and fulfillment requirements, whether it involves a onetime distribution across Canada or a regular print, pick and pack program that ships daily. We will execute your request quickly and our web-based order and inventory system allow us to do it all in house. Gateway’s shipping and fulfillment services are perfectly suited for firms that require a distribution network for their documents. We also service clients that require constant procurement of training documentation, sales tools and marketing collateral. Our flexible service can help make your distribution channel work more efficiently for your business, and we guarantee on-time delivery. Our delivery truck is in your area daily. 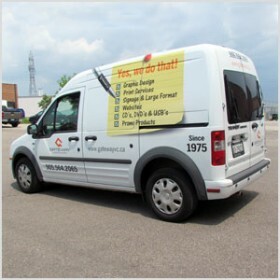 We deliver all local area orders over $25.00 for FREE – it is just part of our complete Turnkey experience. And, if you are outside of our delivery area, there is no need to worry, our shipping costs are very reasonable. Do you need a pick-up? Give us a call at 905-564-2065 to make arrangements.